Growing up in the 70’s and being introduced to music in both the 70’s and the 80’s, “Henna” as he known to most, was fed a musical diet of Reggae, Reggae and more Reggae from an early age. It wasn’t until the mid 80’s and at secondary school the he gained his own musical identity and his love of Ska began as he became a “Rude Boy”. A few years later and it was Henna’s elder brothers love for the then new sound of “Electro” that had him intrigued and a new love for this new sound was soon blossoming, and when the groundbreaking piece of musical brilliance that is Man Parrish’s “Hip Hop Be Bop” was unleashed on his ears, the conversion to Hip Hop was complete. 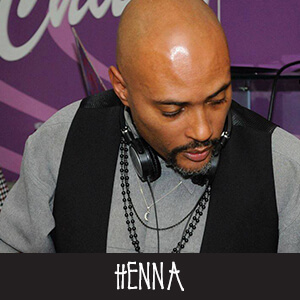 Practising and developing his skills as an emcee, and also moving on a few years, Henna was introduced to the now legendary Drum & Bass producer/label owner/DJ that is Pascal. (Playaz, Frontline) A mutual love of Hip Hop naturally bought the two together and Pascals talent as a producer/DJ and Henna’s skills as an emcee soon gave birth to some early Hip Hop music from the pair, but it wasn’t until many years later (after Pascals move to Drum and Bass) and after hooking up with another drum and bass /producer/label owner DJ Pulse (XL, Creative Wax) that Henna gained notoriety when a few radio stations jumped onto a couple of tracks he had released on his co -owned label (True 2 The Game Records) under the guise of Original Dimension. During this time he was known to dabble with the idea of dj’ing, and after investing in his own set up, he began to learn the art. As a member of both Samurai Soul & RGR Entertainments, Henna as developed as a DJ and continues to wow crowds drawing from his collection of Soul, Hip Hop, Funk, House, Drum and Bass and simply anything with a soulful groove..